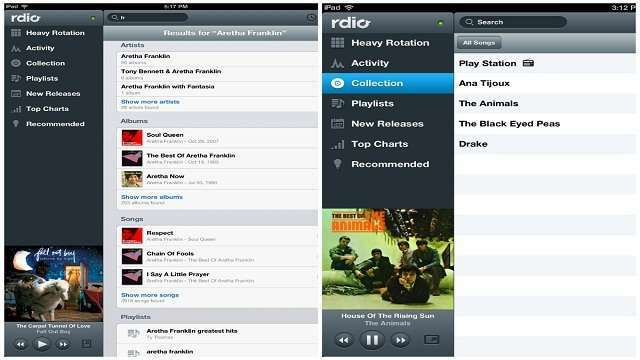 Rdio the App for iOS and Android devices has added seven new countries to its online music subscription service viz. Malaysia, Hong Kong, Colombia, Chile, Czech Republic, Switzerland and Poland. With this expansion, Rdio is now available in 31 countries in the world. US, Canada, Mexico, Brazil, Finland, Germany, UK and Netherlands, Australia and New Zealand are its primary markets. Rdio is available for download for both the iOS and Android devices is expecially useful to music addicts because it is ad free and has a collection of more than 20 million songs from all genres. It also provides an option to queue up songs that one could listen to at a later point. The Rdio comes with 6 months free subscription for new users as a promotion after which come with in-App purchases of subscriptions to suit your style. Another added advantage of using Rdio would be that you will not be restricted from using it on a single device. Using its Sync feature, the music service can be accessed on multiple devices through a single account. This would mean you can use your single Rdio account on your laptop, desktop and also the music player. Remember to check out if your country is supported by the App. I personally get tired of hearing the same old music on every station, plus a bunch of commercials. I use www.earbits.com to listen to free online radio. So far, they don't have any commercials or fees. I hope they stay that way.